Kitchen drain clogged again? Be careful how you tackle the job. Maintaining the “health” of your drain pipes is a bit of a balancing act. Cleaning your drains too often and incorrectly can actually be quite harmful to the longevity of your drain pipes. Yet, cleaning your drains infrequently can lead to clogs, back-ups, foul odors and more. At Hubb Plumbing we understands all aspects of plumbing and want to share our knowledge with our loyal Snellville, Loganville, and Lawrenceville customers. If you want to make sure that your drains remain in good shape, it’s a good idea to be on the lookout for certain signs that they need cleaning. Have you ever walked in to your kitchen and caught a whiff of what smells like spoiled food? Yuck! Often, this is due to the build up of waste in your drain pipes. The more waste that builds up on the walls of your drain pipes, the greater the likelihood that it will start to smell. If you have bad smells coming out of your drains, it’s a sign that you probably have advanced waste buildup in your pipes. However, if you have bad smells coming from multiple drains, the issue might be located further down in your sewer system. Are You Getting Frequent Back-ups? When you discover a kitchen drain clogged, you may be tempted to use off-the-shelf drain cleaners to get rid of it. We don’t recommend that, as store bought cleaners tend to be very corrosive to your plumbing pipes. If you’re getting frequent clogs, though, it’s an indication that you probably have a level of waste built up in the pipes that cannot be removed without professional services. Call for drain cleaning services if you notice this, it will save you time and money in the long run. Before a clog actually occurs, the waste buildup will restrict the flow of water through your drains. If you notice that your drain action is slowing down, you should call us for drain cleaning services. The sooner you get your drains cleaned, the more clogs you can prevent. If you notice any of these red flags be sure to give us a call so we can assess your plumbing needs and effectively resolve any of your drainage needs! 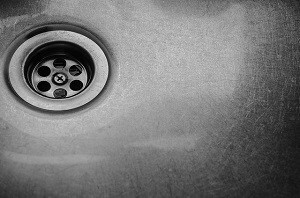 If you don’t have time or the tools to clean your clogged kitchen drain, then just call Hubb – your qualified drain cleaning experts in Snellville. 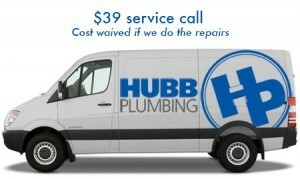 We can be your best friend when it comes time to maintain your sewers and drains. Be sure to contact us for service in Snellville!